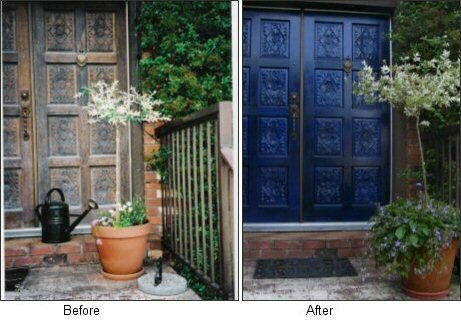 My sister did this to the front door of her Eichler townhome. I thought it was incredibly clever. 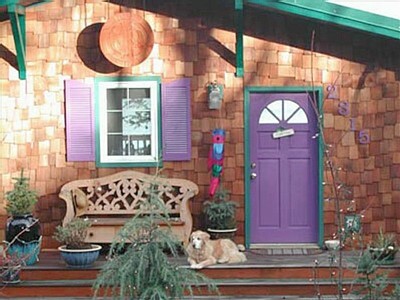 This was a color that I had considered for my own front door. Its fun and sassy and a little bit magical. Blue has so many colors in its spectrum it could go from traditional navy to funky turquiose. This yellow is so sunny and pretty. This is a cheery, beautiful entrance, promising wonderfulness inside the house. I just love the green. I once did a personality test that assigned colors to people according to their personality. Green describes people who are customer service oriented. With that in mind, the green door makes me think of friendly and generous people on the other side of the door. I’m a yellow, by the way. Pink is my favorite. 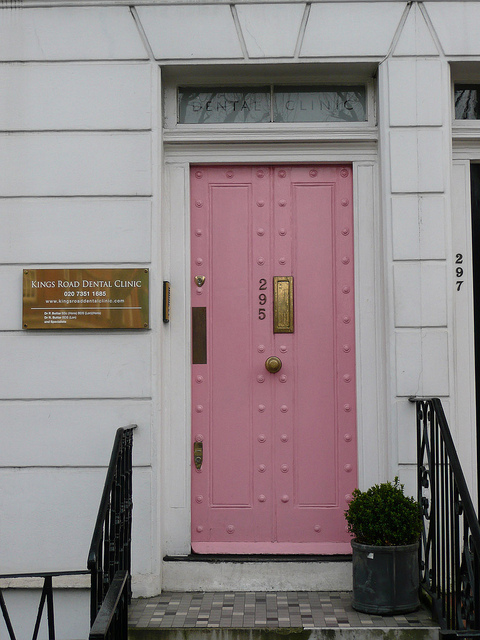 If there are pink flowers in the yard, a pink door would be stunning. Like the blue, the spectrum for pink is so broad, you could make one of many statements, from super sweet to shocking and unconventional. I have lots of roses in my yard, I considered a dark pink to match my flowers. 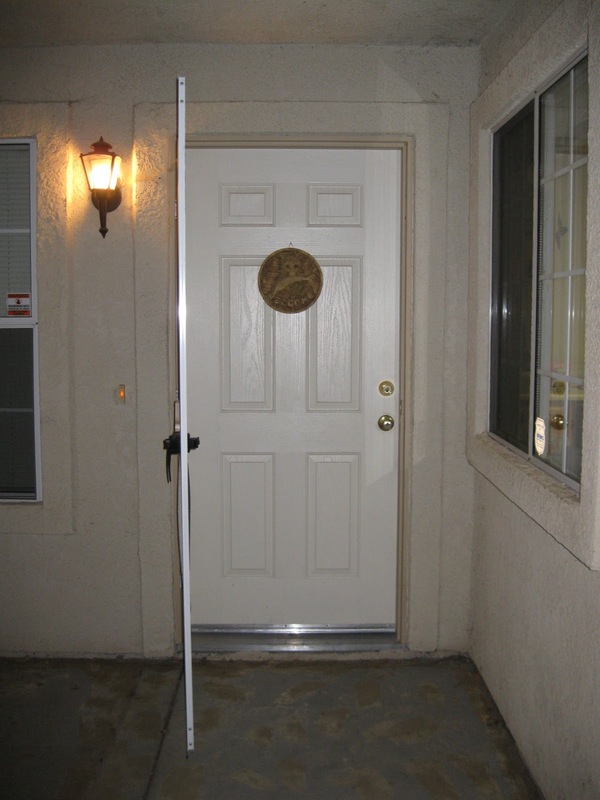 Here is my front door. Although I already have my color picked out, I would love to know what you all think. 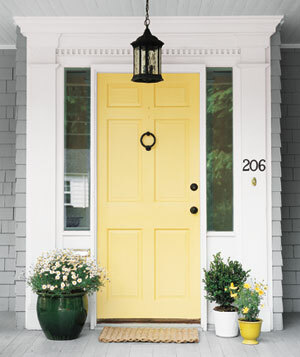 What color would you paint my front door?